This story happened in May exactly on the bench where Berlioz and Bezdomny had argued about the essence of Christ. My friends and I also argued about the possibility of making money on our iPhone-game. I said, suddenly, that without investing money it is impossible. Reluctantly my opponents agreed. I strengthened the trolling and added: - My friends, without big money it's absolutely impossible! Any amount less than $ 25,000, spent on the promotion of the application - will turn into a zipper. Пшшшш! Everyone was indignant and drove me off the bench. At the same time, and from Moscow. Following the publication of the flared up serious competition for the Cup 26-08. Players with Habra are so strong that on the first day they kicked me from the top of Olympus. But! In the first tower I found a solution for 2 points better than the others. And I won guys from Ukraine and Russia. Once on the outskirts of financial flows and Europe, I decided to spend $ 1000 dollars (fallen to me from old games) to prove my White Thesis, especially the Sofa I have. As you already know, over the years any developer creates only those projects for which he has enough strength. At 60, I have enough strength for exactly 3 days. For example, in June I made 10 new games. Basically funny slag, but graphics and gameplay are great. The graphics in all games are the same. I will explain - once a month I go to envato.market and buy for $ 10- $ 20 dollars a ready set of images for mobile games. Kind of unusual pictures awakens in me hundreds of ideas, of which I realize exactly 10. For three days on the game - a month of life and the tired brain of the author requires the next portion of images from the artists. Artists! thank you for being. To narcotics - is not present! Now about the June pictures - a set of isometric cubes. Pleasant colors, exact pixels, what else is necessary for happiness, Vereshchagin? Font Three. Remarkable for its rudeness and Cyrillic. All games made by me based on the above 2D graphics are very different. Ideas from pakmana up to 2048. I will not give references, but you're dying, devils, and I'm a rock-old, I'm extremely anxious about fighting. I'll throw some more hooves, but I want to see what the iPhone looks like. But about one game, chosen for promotion, I will have to tell with links and other husks. And the husk is funny. The game was called Blocks Chain. I understand the technology of blockade, but it has nothing to do with this game. The bottom line is the pyramid of 56 three-dimensional blocks of four colors. Each block has a random number on its side, a multiple of 2. This is 2, 4, 8, 16, 32. You can collapse 2 of any identical blocks. 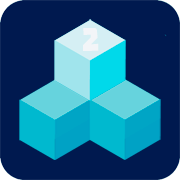 That is, the block 2 and the block 2 will turn into one block 4. If you're lucky, solitaire will fit into four large multi-colored blocks 128. What's the problem, you'll exclaim - it's elementary! The problem is that in the pyramid we see initially only 21 blocks out of 56. See for yourself. In short, a kind of mahjong turned out. I like the layout of 32306. I decided in 2 hours. Running through the matrix of screens for any block (say number 17) - we consider logical sums from the corresponding elements a [*, 17] and if this sum is 3 - block invisible. In all other variants it is visible and ready for metamorphosis. I form randomly on the starting random_seed. Only 1 million unique puzzles. An important part for training players. In the project, I copy the PlayViewController to the HelpViewController, remove the touch screen (touchesBegin, etc.) 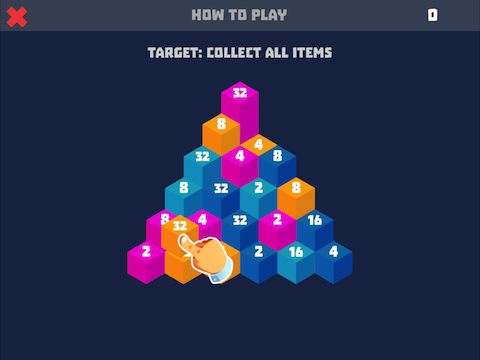 and play any of the beautiful solutions with Timer and Animation, reading the moves from the history  array. Two days I cut myself into the game. First, the mouse on the emulator. I picked up the correct initial conditions for a set of blocks - the powers of two can be distributed in different ways. My version for 14 cubes is 32, 32, 16, 16, 8, 8, 4, 4, 4, 4, 2, 2, 2, 2. Sounds took from old games - they were all borrowed from Angry Birds, I love Finnish music, the voice of Mordvinian blood. The second day - I polish the game on iron. I prefer an iPhone of a small size. Advertising starts as soon as the user becomes a pro. That is, I was able to collect at least one tower. For seeding, the server was made, where I choose 3 out of 1 000 000 layouts and post every day for correspondence rivalry. Introverts can simply quietly play and relax without the hype and flashes of photo correspondents. The game is completed and laid out in the store in 2 hypostases (paid and free). Why 2 applications? For the experiment - I will promote both. Any active developer once a month receives letters from the services to promote mobile applications (games). 90 per cent are Hindus, the rest are Russians. As a racist (only white women), I chose the first Russian office I found. I will not say that to avoid advertising / anti-advertising. I'm calling. Service is ideal, communication in skype, everyone tells, everything is shown, they are forced to change keywords, if current ones do not suit, etc. 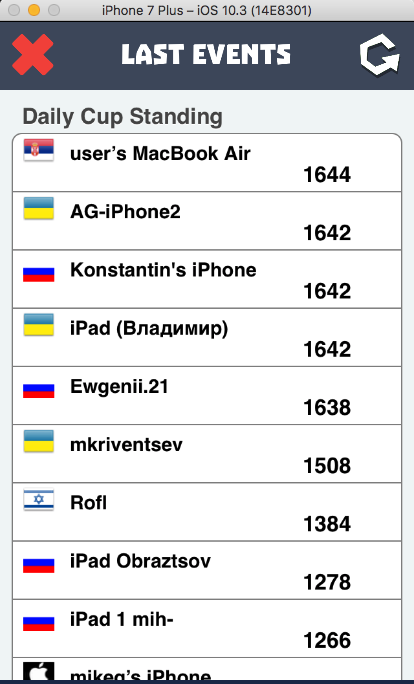 The goal is to get into the TOP10 of the Russian Appstore. The price is for a free $ 500. The price is for a paid $ 250. For two days I entered the top10. Enough of 6000 free fake downloads. And the first attempt to enter the top10 failed. The company was restarted with other keywords (I did not master the specifics of their terminology) and the result was achieved, everything is fair. Paid downloads - 600 (the guys were asked to change the price of the application by 15 rubles). As a result, $ 100 returned to me. But there were no natural downloads, as I had expected. As a result, I dropped the free application, left a paid version, which brings me 1-4 dollars a week. As well as before the advertising company. It was ridiculous to spend $ 1000 (actually $ 650). And then he would have cried. I hope with the help of this publication I will return the money. Ha ha ha.